Testwave LLC® has been representing, selling and servicing Barnstead International Products for many years. 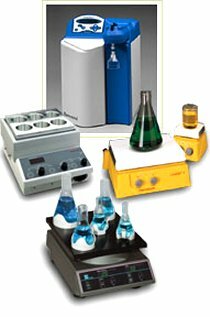 Below is a partial list of the equipment available from Barnstead International, which has one of the widest ranges of name-brand, research and industrial laboratory products. For life science, biotechnology, combinatorial chemistry, analytical and quality assurance laboratory applications, Barnstead is a great source for quality products from one of the world's most experienced designers and manufacturers. Make your Lab run smoother, smarter, faster.